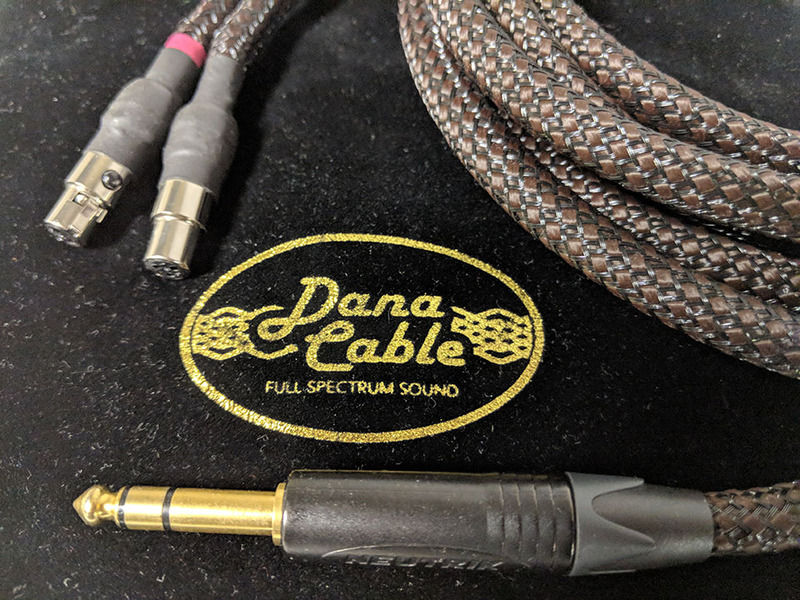 I have been using the Dana Cable Lazuli on my stock Sennheiser HD800 and Lazuli Reference on my Focal Utopia since early fall 2016 and early spring 2017 respectively. Both are pure copper designs and I found the Lazuli Reference sound signature a very good sounding compliment with my Utopia (a solid performer up and down the frequency range) and more user friendly than the stock cable and the Lazuli an excellent sounding one with my HD800 as it gave a bit more weight to the bottom end and some smoothing on the highs making a better match for my listening tastes and music preferences. 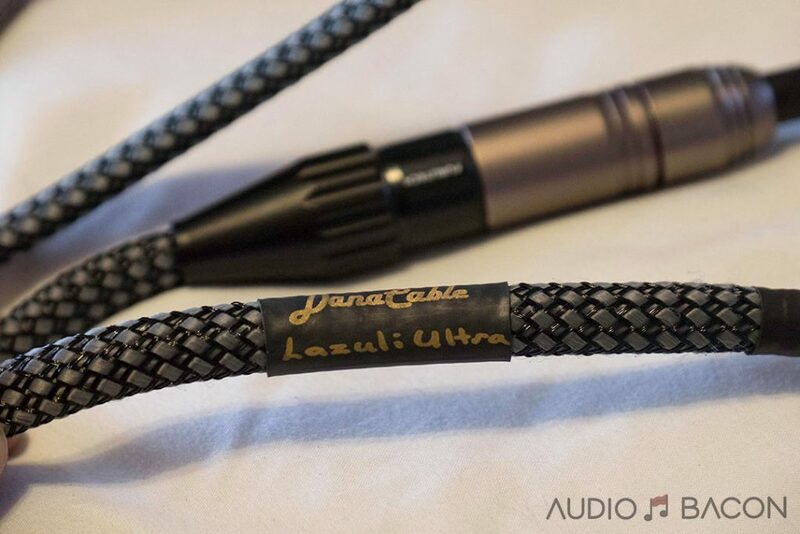 Back in mid-January I had an opportunity to evaluate the Dana Cable Lazuli “Ultra” with my Abyss 1266 Phi in home for a week courtesy of Vinh Vu of Ginkgo Audio. Vinh indicated the Lazuli Ultra is a hybrid that uses some silver in the mix with the copper. I commented to Vinh that it would be interesting to compare the Lazuli, Lazuli Reference, and Lazuli Ultra simultaneously on my Phi’s to see what the sonic differences if any, there were between the three. 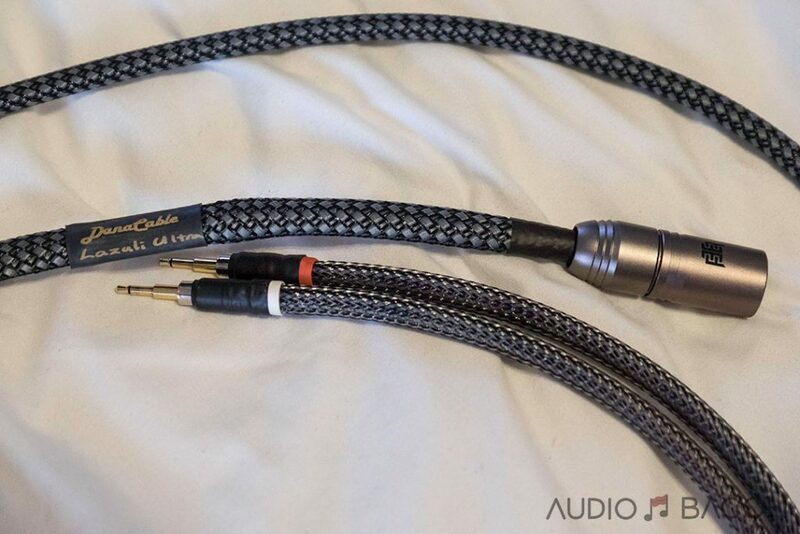 Be careful what you wish for, cable comparisons are difficult enough, let alone 3 related designs from the same family. It is one thing to compare company A’s design with company B’s especially if their design approach, materials, and fabrication process are different enough but when the design process and voicing are from the same design team, I found it gets even more difficult. Vinh Vu at Ginkgo Audio arranged for me to receive the Lazuli and Lazuli Reference for audition fitted out for use with the Abyss1266 Phi. I already had purchased and received my personal Ultra for use with my Phi and have well over 250 hours play time on it. The Lazuli and Lazuli Reference were demo units that have been used many times over at various shows so I expect they have many more hours on them than my Ultra does. All 3 cables are 3 meters in length (my length of choice for use with my upright rack of gear which includes 4 different headphone amps (plus an Oppo 105D in use with my home theater). 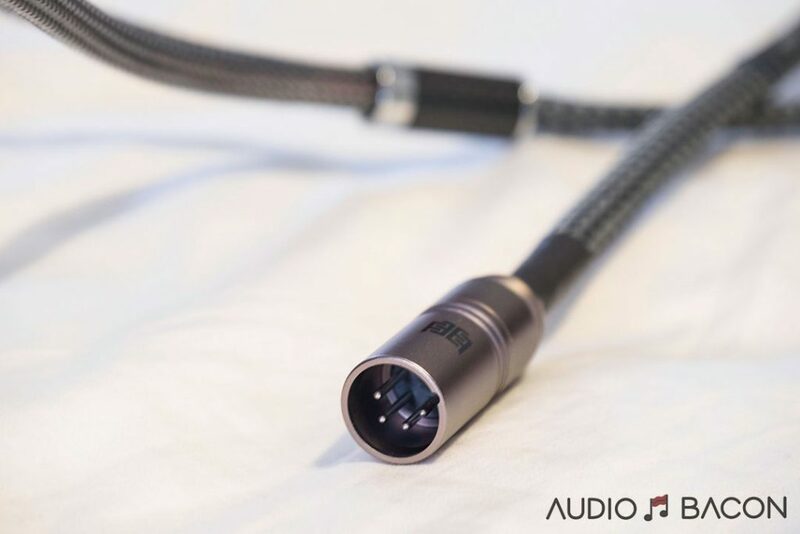 The Lazuli came fitted with an SE connector. 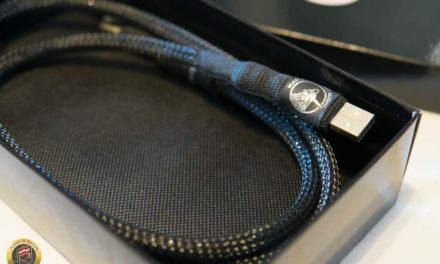 The Reference with a 4 pin Neutrik connector (my preferred way to go on all my phones and HP cables), and my personal Ultra came with a 4 pin Furutech connector. I did the initial listening sessions in SE with all 3. 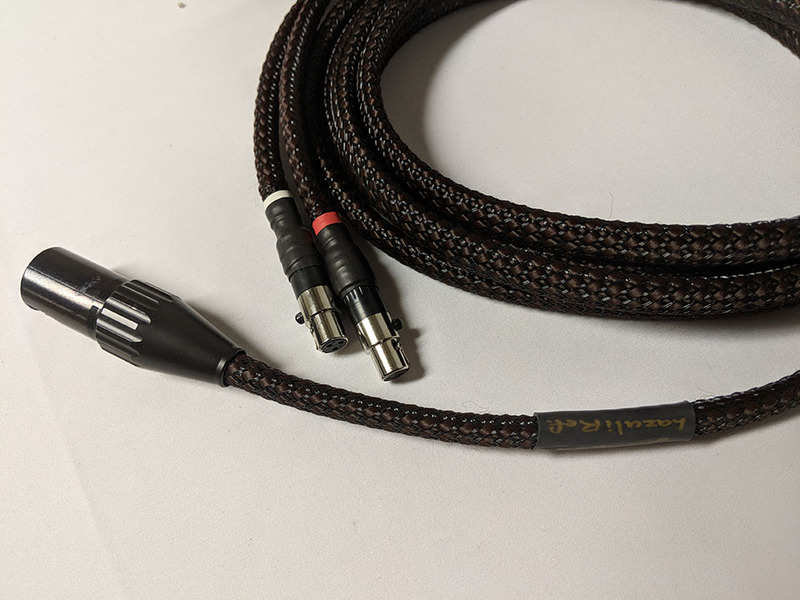 I have a 1 meter length, 4 pin to SE Reference adapter for my Utopia’s Reference cable for late night movie watching with my home theater, and a 14 inch, 4 pin to SE Ultra adapter for my Ultra (to provide capability to use with any SE only headphone amps I may audition as well as my Oppo). This allowed me to listen and compare all 3 in SE on my Phi without having to reset loudness levels due to switching between SE and Balanced. After it became apparent to me that the Reference and Ultra were best to my ears by an easy margin over the Lazuli (on my Phi) I switched over to Balanced only for the remaining sessions with the Reference and my Ultra. Doing quick A/B/C listening comparisons is very difficult with the changeover from one cable to the next but repeated enough times some sound aspects stick in my memory. When I finally was just switching between the Reference and the Ultra in 4 pin mode it got easier with fewer plug-unplug time delays. Obviously, the better way to do this would be to have 2 Phi’s and just be swapping the 4 pin connectors, or better yet, an external switch box. This also assumes that both phones F/R is as close to identical as possible. The following equipment was purchased and is owned by me. For consistency throughout the process I used the same equipment from start to finish; CD spinner as a transport is my Emotiva ERC-3’s AES/EBU and COAX digital outputs connected to my Schiit Audio Yggdrasil DAC (V1 -which I keep turned on all the time per as recommended) with ½ meter of DH Labs Silver Sonic D-110 Digital cable and ½ meter of DH Labs Silver Sonic D-750 Coax. 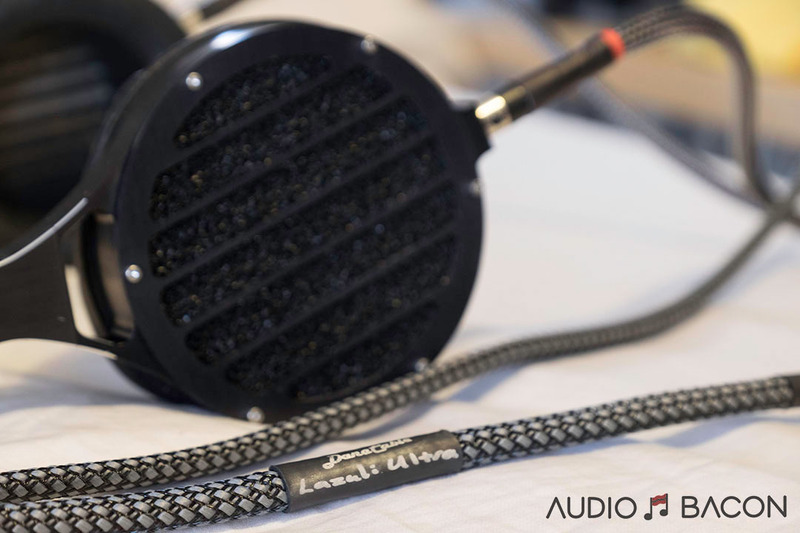 Then on to Schiit Audio’s Ragnarok HP/pre/power amp using a 1-meter pair of Dana Cable Sapphire Reference XLR IC’s. I warmed up the equipment for at least an hour before each listening session. 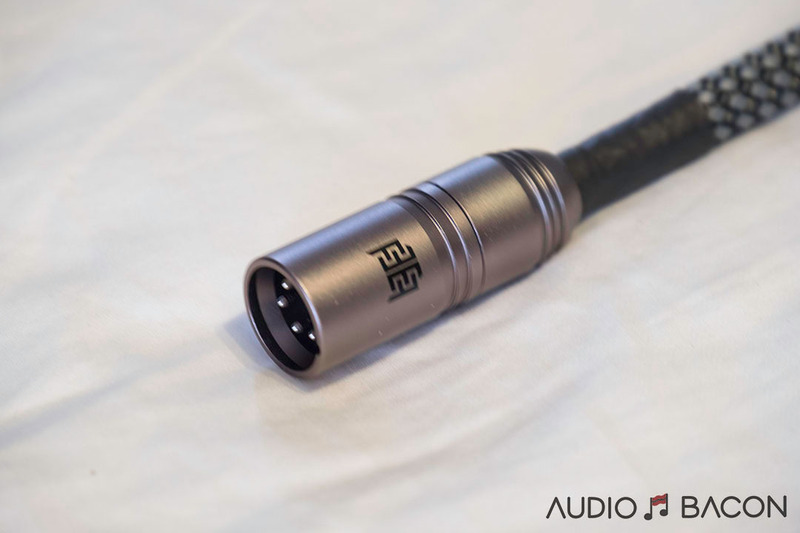 (Note: I did do a double check in SE and Balanced modes with my Rogue Audio RH-5 for a tubed point of view and to listen for consistency of the impressions and conclusions I was coming to when using the Ragnarok). I also own the following headphone amps not used in this evaluation: Schiit Audio’s Mjolnir 2 and Jotunheim. To the extent to which different amps (and tubes) sound different from one another and may give different results, it would have introduced too many variables for me to keep track of jumping from 1 amp to another. My current headphone stable includes the HD800, Utopia, and Abyss1266 Phi as well as Sennheiser HD600, and Oppo PM-1. I do think that cables “may” sound different depending on their electrical characteristics and the varying characteristics of the equipment they are connected to. I also believe in 50 to 100 hours playtime with cables and electronics and tubes to break them in and sound their best or at least eliminate the possibility that they could sound different compared to “out of the box”. Depending on the type, transducers can take even longer to settle in my experience. My source is CD only. When I retired and downsized years back I sold my vinyl and all associated equipment including my large speaker system and electronics and focused for a while on home theater and video with a modest surround system but a 60” plasma monitor (that still looks fantastic at over 10 years old) as I lacked the space for my idea of a proper stereo set up. I spent more of my free time and disposable income on attending live concerts during that time frame as well. January of 2016 I got the bug for higher-end headphones after acquiring an Oppo 105D for my home theater and listening to its HP output. To keep my evaluation process as simple as possible I use only 5 CD’s, 2 of which I am very familiar with since the 70’s when they originally released on vinyl and were always my primary go-to source material for listening evaluations back in the days of (the many) brick and mortar, high end / boutique audio stores (and before the video boom began). (I have about 20 other CD’s I also rely on to evaluate but the above are the critical ones for me). Prokofiev “5th Symphony”: Jarvi / Telarc 60683 Especially the first movement, the scoring makes for a good test of a systems ability to maintain its composure and delineate the inner lines of the various instrument groups. One instance is the combination of massed horns and violins playing loudly in their upper registers accompanied by low growling sounds coming from a piano and the rest of the string groups in the 1st movement is difficult to reproduce with clarity. Shchedrin: “Carmen Suite” / Pletnev DG471136 I recently re-discovered this, highly recommended for demo’ing if you’re into classical. It’s for a large string orchestra and percussion instruments, no horns, no woodwinds! It’s a very dynamic recording with loads of transient attack/decay sounds to listen for. I own close to 2,500 CD’s (primarily Classical with some Opera) but including some Jazz, Rock, and Movie Soundtracks. I never got started with download content but may get around to looking at a server to load my 1000 or so favorites onto and “perhaps” try some lossless download music as well, but I’m in no rush. Also, while I occasionally use earbuds (for walking) I’m not a big fan of them. I used the same volume level set by sound level meter (58 or 60db – recording level dependent- by my measurement procedure) for all CD’s during listening. The music is mostly Classical and Jazz based. I took notes during each listening session and thinned them out daily for this write-up. These are my impressions in conjunction with my personal likes, dislikes, and tastes. I make no claim that my impressions will be the same as others or are authoritative. I’m not necessarily an accuracy above all listener, I decide on what I like based on how I think the recorded music sounds compared to my recollections of the sound of live music and my experiences with both. After attending live concerts I like to follow up the next day by listening to recordings I have of some of the same works I heard for comparison. Last time was Jan 24th, one week after I had returned the Ultra I had been evaluating in home for a week. One of the works on the program (it was an open rehearsal actually) was the Prelude and Liebestod from Wagner’s “Tristan und Isolde”. I have been using a Sheffield recording of the Prelude to evaluate gear since the 70’s when I had it on LP (now on CD). My “day after” experience following the January concert was astounding with regard to how well my gear reproduced the sound I’d experienced the day before. I’ve got another concert coming up on March 23rd with Stravinsky’s “Fire Bird Suite” and Prokofiev’s “5th Symphony”. These two works really push the dynamic envelop and ability to maintain composure under stress. I’m already looking forward to the follow-up sessions the day after. While neither headphones nor any speakers I’ve ever heard (Including the Wilson WAMM’s back when they were a steal at $75,000 the pair, and the big Infinity IRS’s my brother once owned, or the Mark IV Carver “Amazing” I last owned) can duplicate the total experience of a live performance. But, some headphones and speakers I’ve auditioned and own in conjunction with appropriate associated gear can get many aspects of the live sound right. Especially with regard to tonal qualities and inner detailing in complex scoring which is a great achievement in itself. I made the following weight measurements of my 3 meter Lazuli (for HD800), 3-meter Reference (for Utopia), and 3-meter Ultra (for Abyss Phi), all with 4 pin connectors, using a digital kitchen scale. As I understand it the wire used in the Lazuli consists of approximately 600 strands of copper and the Reference has roughly twice as many strands of copper. I suspect the copper wire count in the Ultra is close to that of the Reference with the silver being additional. I don’t know if its copper coated with silver or actual silver wire strands. All of that info could be proprietary but it would be informative to see exploded graphics of these designs for comparison purposes. The Lazuli Reference and Ultra are practically the same weight. If you put on a pair of headphones when you get out of bed in the morning, wear them all day, and then forget to take them off before going to bed at night, the Lazuli line ups weights could be an issue and so may not be a good portability solution. 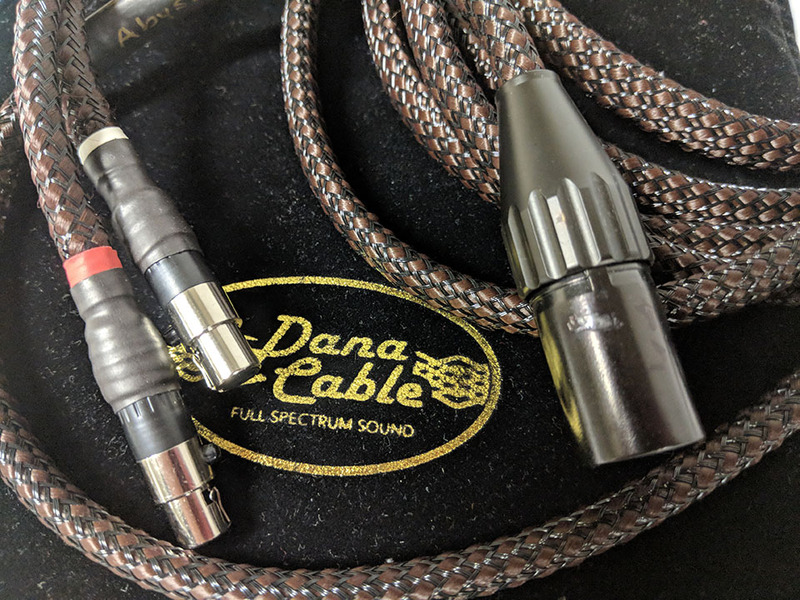 Cable microphonics are practically non-existent with the cloth wrap material used in the Lazuli line especially compared to some other materials used in other HP cables I’ve worked with over the past 2 years. 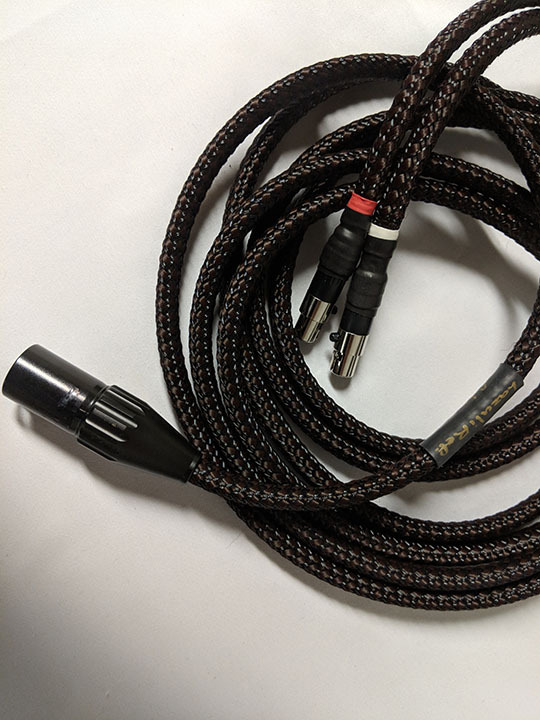 With regard to flexibility; the Ultra cabling fits inside its cloth sheath a bit more snugly filling it out a bit more than the Lazuli or Reference fits in their respective cloth sheathings, but it’s just as flexible to me and more flexible than some other HP cables I’ve examined. My listening set up consists of equipment in an upright Salamander Designs Archetype A5 stand with an extra shelf. I have it on casters and with the equipment installed its total weight is around 200lbs. 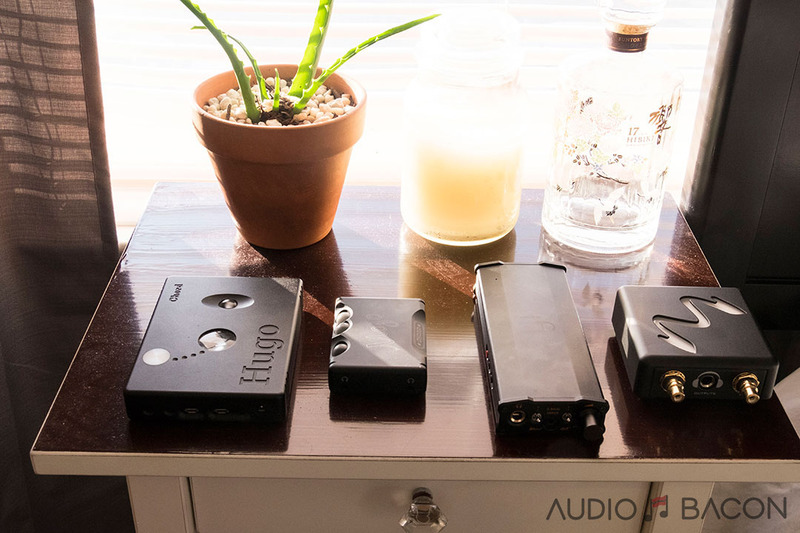 My 4 headphone amps sit at different heights above the floor from 12 inches to 44 inches. I need the 3-meter length to manage these different HP amp positions comfortably. I sit alongside the stand in a leather recliner. I have no issues with weight (but others might) with any of the Lazuli’s. Typically the cable(s) rest on a low step stool where I lay the phones temporarily if I have to attend to something, and another around my lap area providing strain relief. So the actual amount of weight/drag I experience may only be of less than 1 meters worth of cable. Only if the cable is completely suspended in the air would one experience the full weight. As always, when it comes to the sound and user interaction with the physical aspects of different components you be the judge because YMMV. This HP cable shootout has been another learning experience for me. 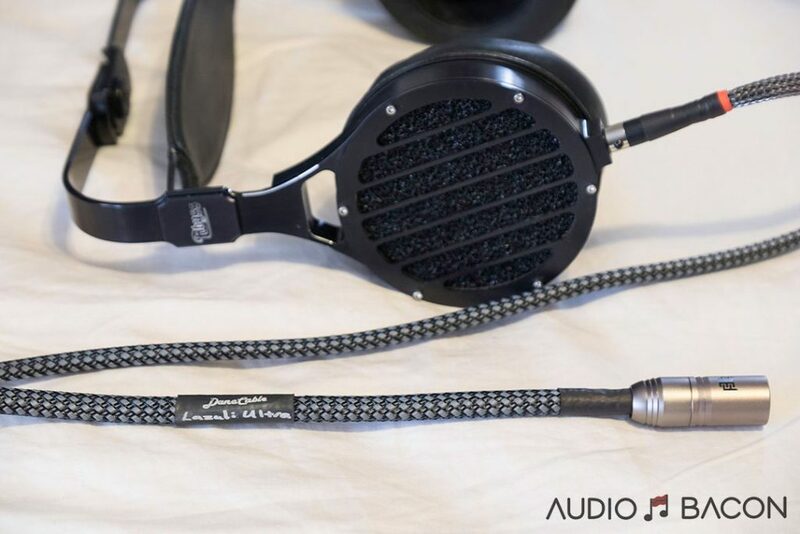 I’ve had plenty of listening experience with the Lazuli on my HD800 vs. its stock cable, the Reference on my Utopia vs. its stock cable, and the Ultra on my Phi vs. its stock cable. 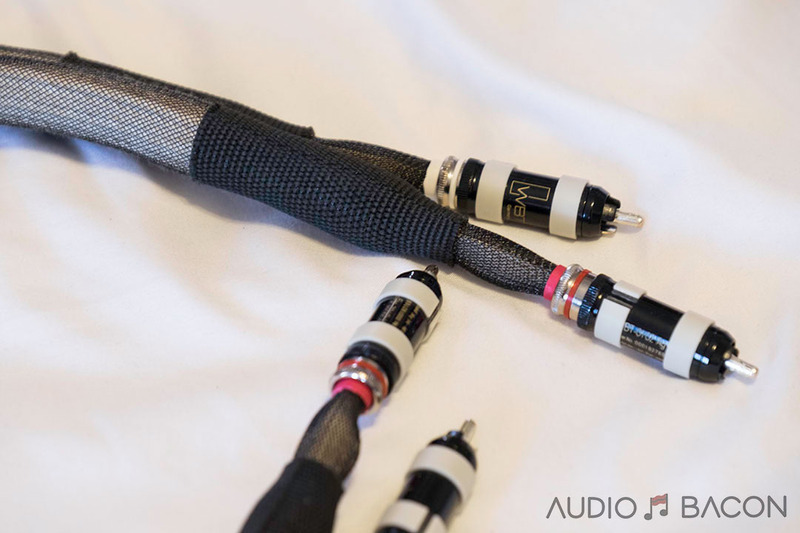 When I started comparing the 3 cables on the same headphone (my Abyss Phi), it was like starting all over from scratch. Aural recall of sound signatures heard at different points in time and with different headphones, cables and electronics and then attempting to make descriptive comparisons is fraught with pitfalls. 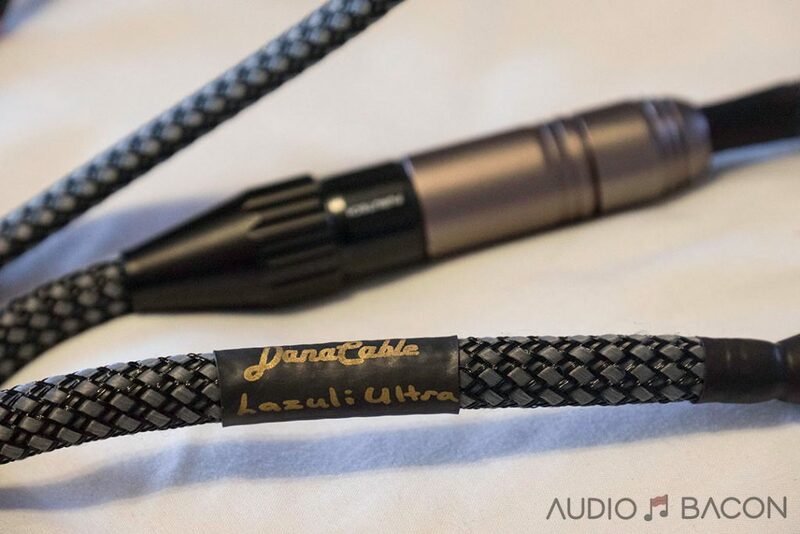 When I did my Ultra for Abyss Phi versus JPS Labs stock Abyss Phi cable review it was done in the same time frame (just as this current survey) and it was easier to find similarities and differences, even if very subtle ones. There is a strong family resemblance between these 3 cables used in conjunction with my Phi making the task more challenging but more interesting as well. Bass: One aspect of the sound all 3 have in common is a rich bass and mid-bass. The difference between the Reference and Ultra I heard was small but noticeable. They both sound like they go all the way to the bottom of audibility but I got the impression that while the Ultra was a bit tighter but didn’t have quite the “thump” of the Reference and the Reference generated subjectively a bit more air. The Ultra, however, sounded like it was giving a bit more control and detail which plays to my listening preferences. With the Ultra bass drum whacks didn’t display a tendency to obscure the detail of other instruments playing simultaneously in their bottom registers. The air is still there with the Ultra but not as prominent as I heard it with different recordings when listening to the Reference. The Lazuli was a definite third place compared to the Reference or Ultra, probably as a result of having half the amount of copper in its construction. 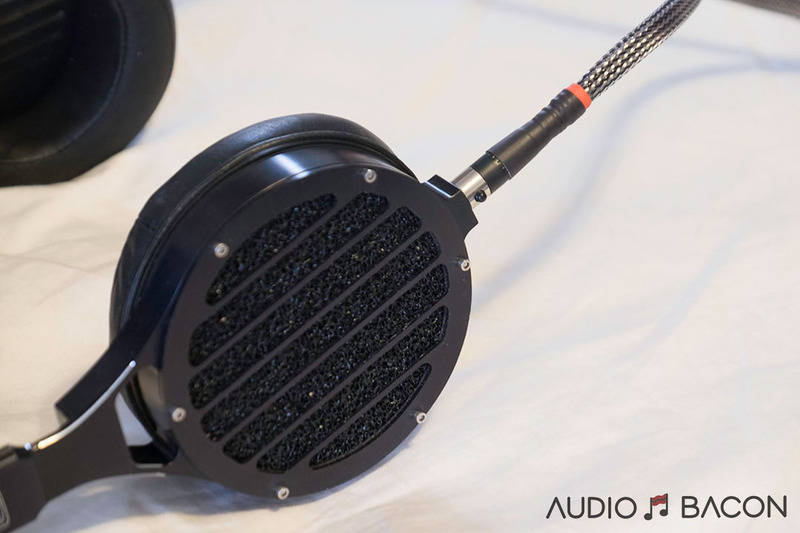 Midrange: The most significant thing I noticed between the 3 was a difference in transparency, especially with the Reference and Ultra, allowing them to provide a clearer window on the sound. Clarity and detail improve as I moved up the line but the differences in the overall presentation and dynamic scaling in this register were not as big between the 3. Highs: The winners again are the Reference and Ultra. The Ultra’s extra purity comes at price however when it comes to the quality of the source material. In a perfect world all recordings would be rated 100% perfect and the Ultra would shine. Given the wide variety of recorded quality and technology over the decades (direct disc vs. tape, analog vs. digital, etc. ), listening results should vary. It can have a lot to do with the headphone one uses as well. 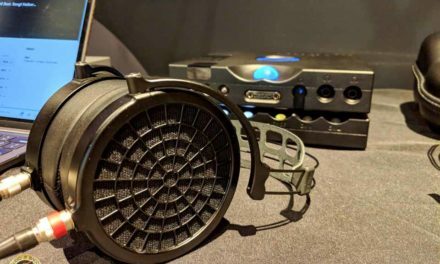 As an example (and I speculate here), the Lazuli or Reference may make a better match with my HD800 because of the HD800’s top to bottom sonic signature. Could the Lazuli possibly short change the capabilities of my Utopia compared to the Reference and could the Ultra be a little bit of too much of a good thing in the highs with the Utopia and even more so with the HD800? Without direct comparison, it would be impossible for me to know. The Abyss Phi could go either way for me, Reference or Ultra, and I can buy into either scenario being the right choice for the Phi. Also, keeping things in perspective; these are subtle differences in the 3 frequency bands to my ears, especially between the Reference and Ultra. None of that Day/Night stuff. But then, we all value what we hear differently, and very possibly younger ears than mine may hear it differently as well. Transparency: This is one of the more notable areas where the differences between the 3 were fairly obvious. It was pretty easy for me to hear the increase in transparency moving up the line from the Lazuli to the Ultra. The difference between the Lazuli and Reference was much larger than between the Reference and the Ultra and may be as a result of the sheer doubling of the amount of copper going from the Lazuli to the Reference. The increase in transparency from Reference to Ultra was much more subtle and I can only attribute it to the silver add-in with the Ultra. I find the extra clarity of the Ultra worthwhile but the Reference is very close. Transient Attack and Decay: This is another area where the Ultra sounds like it has the edge over the Lazuli and the Reference. I think the Ultra provides the best transparency of the 3 as a result of its subjectively quick, clean, handling of transients. Again, I speculate that it’s the use of some silver that makes the difference. Instruments and voices in solo or groups come across nicely articulated and individualized. The Ultra just sounds cleaner on my Phi. Inner details in complex orchestral works get a little extra reveal without having to strain to listen for them. Dynamic Response: Close on all 3 but I think the additional copper in the Reference and Ultra gives them an advantage at the frequency extremes. Image Stability and Sound Stage: All 3 maintain a stable image on instruments with no wandering and a smooth spread from far left to far right on my Phi. Both the Reference and Ultra seem to make the outlines of instruments and voices a little larger giving the impression of moving in slightly closer to players/singers compared to the Lazuli. This also gives the sense that the back wall of the recording venue, when captured by the recording, is a little closer as well than with the Lazuli. Possibly it’s an effect of the softer sounding Lazuli diffusing the air of the sound space a bit compared with the Reference and Ultra. This is extremely recording dependent and the best overall quality recordings I have don’t always display this front to back perspective as well as some lesser quality ones. I think microphone placement and the numbers of mics and how they are used/balanced by the recording engineer is a factor with respect to revealing the illusion of depth within the soundstage. I find the best recordings at displaying front to back depth use a minimal number of microphones. The slight upper mid-range and high-frequency energy differences between the Lazuli and the Reference or Ultra may be an influencer as well. I’m satisfied with my decision to go with the Ultra for my Phi, but younger ears or different genres of music or different sensitivities to recording qualities could favor the Reference. As I previously mentioned, I found the little bit of extra transparency (top to bottom) addictive with the Ultra, and I understand that the quality of the recording will be first and foremost in the sound I ultimately hear and that everything in the chain from the recording to my eardrums “may” have some impact. If the goal is to get maximum enjoyment from as many recordings as possible regardless of recording quality the Reference could be the answer and I wouldn’t consider it a compromise. It’s only on my better recordings and in comparison with the Ultra that one might notice a difference. The frequency extremes are where the Reference and Ultra really separate themselves from the Lazuli along with their improved transparency and transient detailing, especially in the case of the Ultra, over the Lazuli. I think I could be happy with either the Reference or Ultra with my Phi. The Reference could be a little more forgiving of my average recorded quality discs and give me a better average listening experience. But with my better recordings, the Ultra just brings them alive with a slight edge on detail and clarity over the Reference that I enjoy so I’m satisfied that I got the right sound signature for me with the Phi. I can see how others may hear it differently and prefer the Reference as just right with the Phi. Again, the differences between the Reference and Ultra are modest, and all things considered, the Reference is definitely the best bang for the buck in this lineup. But when the Ultra sings, to my ears, it’s with the truth of the recorded sound, be it the good, the bad, or the ugly. I’m okay with that. (I wonder if an Ultra IC design is in the works.). 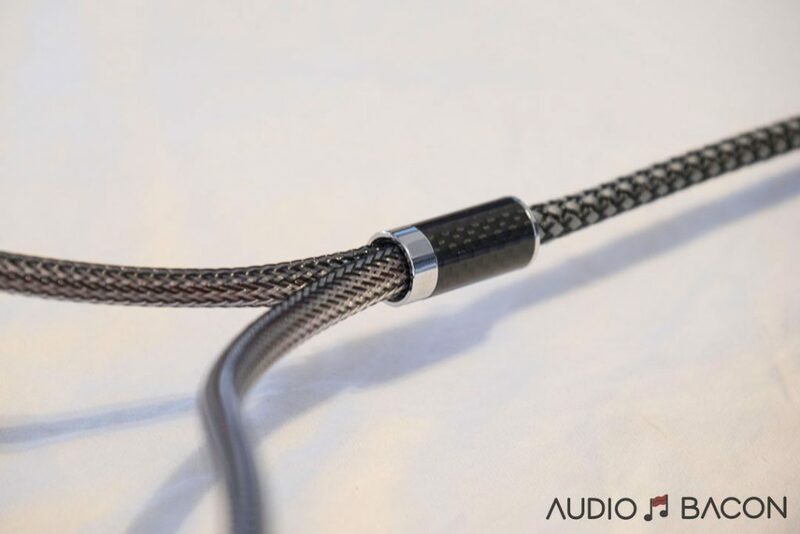 I’ve seen past comments regarding the use of silver in a hybrid or as a stand-alone design material in IC’s and HP cables having a tendency towards brightness in the highs and thinner sounding lower frequencies and I’ve listened to some but not many silver constructed cables. I noticed nothing of the sort with the Ultra; its sound is always fully fleshed out and not over-bright to my ears. As always, it’s all going to boil down to personal preference and what sounds right to each individual. 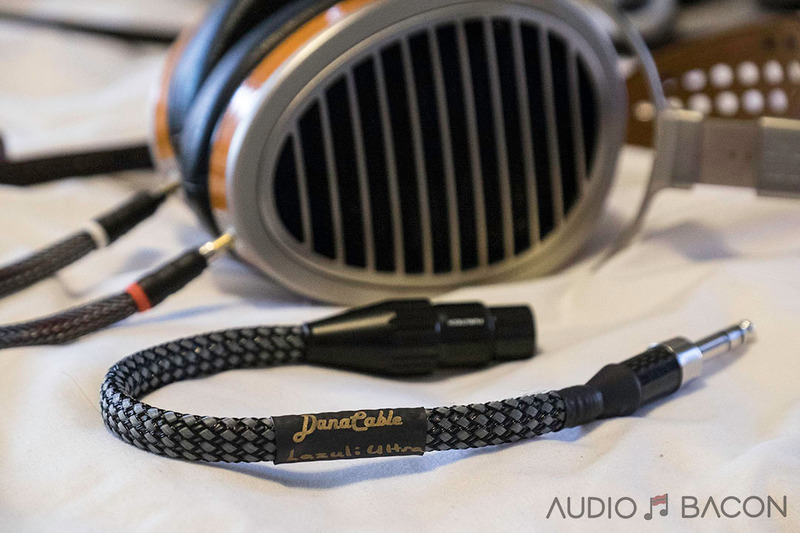 Different combinations of headphones, electronics, and cabling could make for different results. Once again, Audiobacon seems to have read my mind and answered the exact question that I was wondering about, with authority. 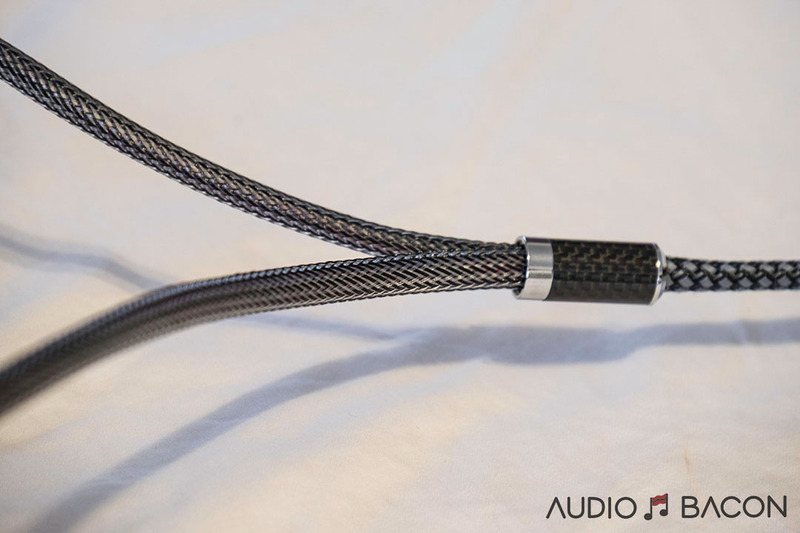 I’ve had the opportunity to do the stock vs. Lanzuli cable comparison at recent Axpona shows a couple of times now and walked away very impressed each time. I’m only left with the question of is the Senn. 800s variant of the Lanzuli not offered in the Reference or Ultra versions? I really enjoy reading Audiobacon. Yes, we can make either the Lazuli Reference or Ultra for the Sennheisers, same price as the corresponding models for the other headphones. Just send us an email trhough the website. If there are enough demand, we will make it a standard model.